As part of the Inaugural AAC Apprenticeship Awards, Firebrand Training has been shortlisted for the Digital Apprenticeship Provider of the Year. 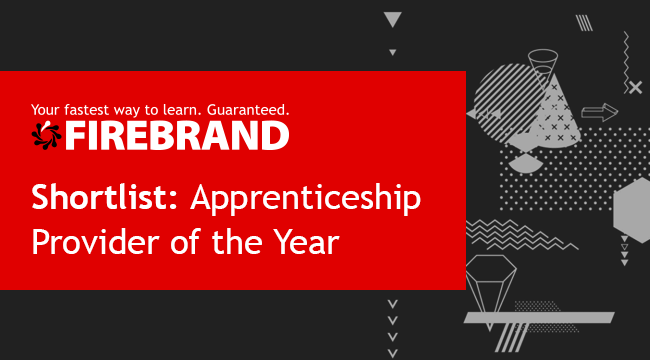 This shortlist recognises Firebrand’s instrumental work in bringing new Digital Apprenticeships to our apprenticeship employers. Since 2012, employers have enrolled over 300 digital apprentices on Firebrand’s custom programmes, like Azure Network Engineer, Microsoft Software Tester and Google Cloud Infrastructure Technician. “We’ve worked exceptionally hard to provide our apprentices and UK employers with the highest quality of programmes and I’m personally delighted to see Firebrand shortlisted for this award. This shortlist also recognises Firebrand’s decades of experience across accelerated cyber security training. As a result, the UK will see its first cyber security apprentices graduate from their apprenticeship programmes in 2018. Firebrand is also working with organisations like the National Autistic Society to ensure its Digital Apprenticeships are accessible to a wide range of individuals with different learning styles, paving the way for a diverse IT industry. The winner of the Digital Apprenticeship Provider of the Year will be announced at the AAC Awards Dinner on Monday 5th March. What are the AAC Apprenticeship Awards? The inaugural AAC Apprenticeship Awards is supported by FE Week, the Association of Employment and Learning Providers (AELP) and the Chartered Management Institute (CMI). The award ceremony will be held during National Apprenticeship Week 2018. Firebrand Training is the fastest way to learn. Guaranteed. 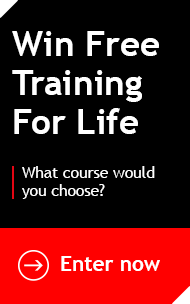 For those who need professional certification or want to quickly develop staff through Apprentice programmes, Firebrand’s accelerated training is the fastest route. Since launching in 2001, Firebrand has trained more than 65,000 students and saved a total of 1 million hours. Firebrand is also a Microsoft Training Partner and has provided accelerated apprenticeships since 2012. Firebrand has been named amongst the Top 20 IT Training Companies in the World for eight years running and offers official courses by every big name in the industry. Student feedback is available on Firebrand's website.